This is not the first time election dates have been shifted. But observers are wondering if President Joseph Kabila would agree to step down in 2018? His tenure expired in 2016 and he continues to hold on to power since replacing his father, Laurent, who was assassinated in 2001. 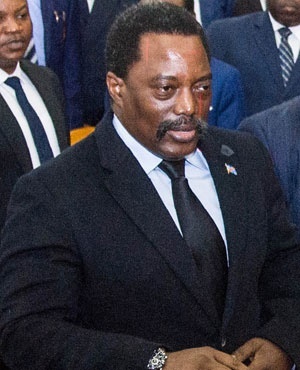 The Congo Independent Electoral Commission has announced that the long-awaited presidential elections to replace President Joseph Kabila would take place on December 23, 2018. About 43 million voters have been registered, electoral officials told a news conference in D.R. Congo’s capital, Kinshasa. After the December 23, 2018 election, results will be published on January 9, 2019, and the elected president would be sworn in on January 13, another official from the CENI, Jean Kalamba, told reporters. The election, originally scheduled for late 2016 has been repeatedly delayed. Dozens of people died in protests against Kabila’s refusal to step down at the end of his constitutional mandate in December 2016.